Culture + is a series of projects, debates and conferences organized by EUNIC Cluster Czech Republic, aiming to explore ways in which culture contributes to wider agendas. 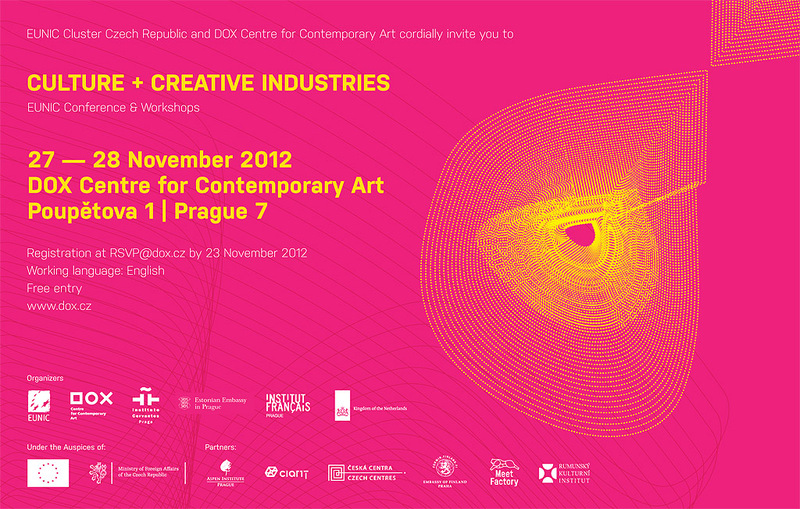 Following the first Culture + Public Diplomacy conference organized in April 2012, the Culture + Creative Industries conference focuses on creative industries and their potential to contribute to Europe 2020 goals for sustainable growth, jobs and social cohesion. By bringing together policymakers and successful creative entrepreneurs from different European countries, the conference aims to discuss current core issues in Europe’s creative industry sector, with special emphasis on Creative Europe 2014-2020, the new EU programme dedicated to the cultural and creative sectors, whose proposal is currently under discussion in the Council of EU Ministers and the European Parliament.